1. What are longboards and how much do they cost on average? I believe you know what a skateboard is and what it looks like. Well, a longboard is kind of the same things. 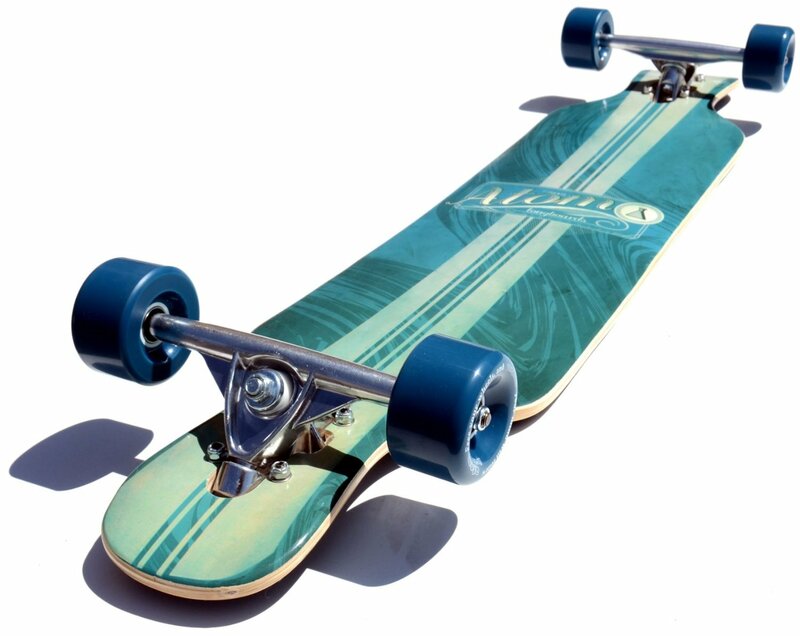 The shape and size of the deck is different, as well as the wheels are usually bigger. It all depends on the style of riding you prefer. 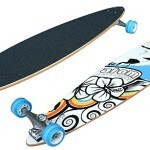 As for the price, well it also depends on the type of longboard you choose. And of course the quality. You can take a better look at the pricing of different boards here. 2. What is the difference between penny boards and longboards? Penny boards are really small and not made for cruising around. Of course you can do that. And a lot of people do. But I would say that they are the best for commuting. You can do a lot more with a longboard. So the difference is size, which affect the usage of each board. 3. What are the differences between skateboards and longboards? Skateboards were made short and light, so it would be easier to do the tricks you want to do. Harder wheels are of course faster on concrete, while tighter trucks provide more stability. Longboards are typically longer than skateboards, yet the difference is not always that significant. More consistent traits are softer wheels and looser trucks. These provide more comfortable ride and the ability to turn simply by leaning. 4. What should a beginner get first: a regular skateboard or a longboard? It depends on what you want to do with your board. If you want to cruise and carve around like a surfer on the streets, then longboard is for you. If you want to ride skateparks and you are willing to learn a bunch of different tricks, choose the original skateboard. What I want to say is that there is no particular board that a beginner should get first. 5. What kind of wheels should I use for bumpy roads? Try to use a softer wheel. You can also increase the size of your wheels in the range of, to avoid the feeling of a bumpy ride. 6. How to ride my longboard straight? Your board does not go straight, because of what is know as truck bushings. They are either rubber or plastic and are designed to absorb small turns. You can tighten them if you feel that they wear out. 7. How can I maintain a wooden longboard in a rainy climate for commuting or cruising? I have to say that ir is hard to protect trucks and bearings. The best you can do is to purchase bearing shields or cover the side of your wheels with duct tape. Cleaning bearings with alcohol solution and trucks with gentle wiping is fine. But I suggest you avoid riding your longboard through sand and water. 8. How do I get down the hill? If you are attempting to go down large hills at high speed, you should be aware that you might get speed wobbles on your board. To prevent this from happening, you must tight down your back truck. Everything else is just a matter of practice. 9. How do you slow down while going down the hill on a longboard? If you’re going down the hill, the best way to slow down and stop is through a slide. You should buy or make sliding gloves and practice how to do that at slow speeds first. 10. Which foot should I lead with? Do whatever feels the best for you. Ask someone to try to push you on the ground and the foot that you are putting out first is the one you should lead with. 11. Will getting better bearings make me go faster? No, but they will keep you rolling longer. Wheels play a much larger role when speaking of speed. A larger wheel will have a slow acceleration, but a high top speed. Smaller wheels will have a fast acceleration, but a low top speed. 12. What are the best longboards for beginners? 13. What is the best longboard brand? 14. Can you put longboard wheels on a skateboard? Well, yes you can. If only you know how to do that, there is nothing that can stop you. Longboard wheels come in different sizes and the smaller ones should do just fine. As the wheel size increases, you should think about using raisers to avoid wheelbite that will occur when turning. Also keep in mind, that all of this will affect your riding experience. But technically speaking, it is possible. 15. What size longboard should I get? 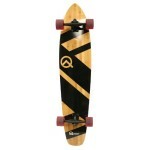 The size of the longboard you should be looking for is mostly related with the type of riding you want to do. Boards that are shorter enable quicker, shorter turns. For better carving at high speeds one should choose a longer board. For shorter as well as younger riders boards in the 28” to 32” range are just great. Off course, taller riders can use these boards too. Nothing wrong with that. The most popular among new riders are boards in the 32” to 42” range. These are great for different riders and different riding styles. Therefore they are also the most recommended ones. All of the sizes that go above these are perfect for relaxed, long rides. It is not so easy to maneuver, but causing at high speeds is so much better.